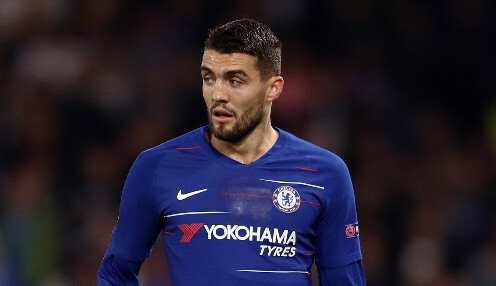 On-loan Chelsea midfielder Mateo Kovacic is confident that the Blues can enjoy a successful conclusion to what has been an inconsistent season so far. The 24-year-old Croatia international has made 40 appearances for the Londoners since arriving on a season-long loan from Real Madrid, with Chelsea currently battling to secure a top-four finish in the Premier League. In the end the most important thing is to win trophies and the players know it. They are also still involved in the Europa League, where they will face Slavia Prague in the quarter-finals, with head coach Maurizio Sarri still trying to fully implement his own preferred playing style. Kovacic told Chelsea TV: "When players are used to playing (differently) and then come here and change everything, it's difficult. "But he (Sarri) has his football in his mind and that's a great personality. He just wants to play his football and that's what we're trying to do and trying to win a trophy. "In the end the most important thing is to win trophies and the players know it. The players are used to winning trophies and I'm sure we will have a great year this season." Chelsea currently lie in sixth place in the Premier League standings, three points behind fourth-placed Arsenal and only one point further adrift of Tottenham, who occupy third place. The Blues return to action following the international break with a trip to South Wales to take on Cardiff City on Sunday March 31st. Earlier this season the meeting of the two sides at Stamford Bridge ended in a 4-1 win for the hosts, with Eden Hazard scoring a hat-trick. Chelsea are available at 2/5 to win the game a week on Sunday and are 15/2 to do so by a 2-1 scoreline, with the Blues 13/8 to finish in the top four come the end of the season.